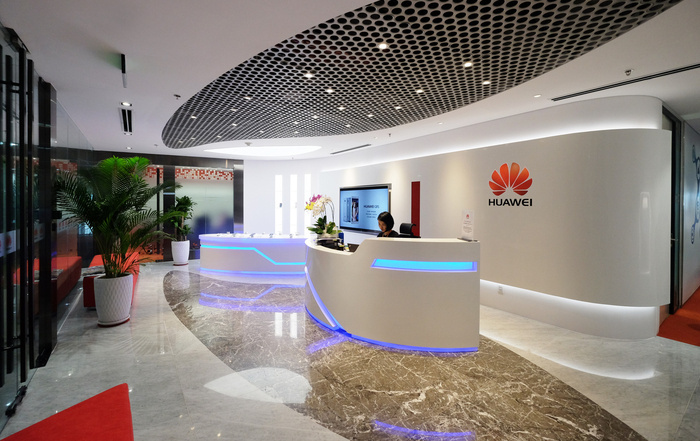 TTT Architects has designed the new offices of electronics manufacturer Huawei located in Ho Chi Minh City, Vietnam. It is the honor of TTT Architects when Huawei, one of the leading technology company in the world, chose us to become their design consultant of the brand new office right at the heart of Ho Chi Minh City’s center – Vincom Tower. With the experience of a leader in Vietnam interior design field, more than anybody else, we understand our client’s expectation of quality as well as their requirement of uniformity in design among the offices of Huawei all around the world. TTT architects has taken our aim to a youthful design, the variety of colors is expressed through many finishing materials such as carpets, the graphic, wall painting, … In addition, the use of lighting effects and dynamic lines also gives the office a new look and feel of “dynamic and hi-tech”. Moreover, the other spaces like coffee lounge, informal meeting areas are designed to bring a fresh breathing, they will be the places to increase the connection between employees, where we can share every kind of knowledge. Design itself has succeeded in emphasizing the interactions at work, a new trend is becoming more popular nowadays.